One of the things we really looked forward to during our Penang revisit was the beach at Batu Ferringhi. While we were able to check it out during our first time in the city, it was quite brief. This time we planned on fully exploring Penang’s famous shoreline. But before all that, we decided that all that walking around Georgetown deserves another reward of its own. 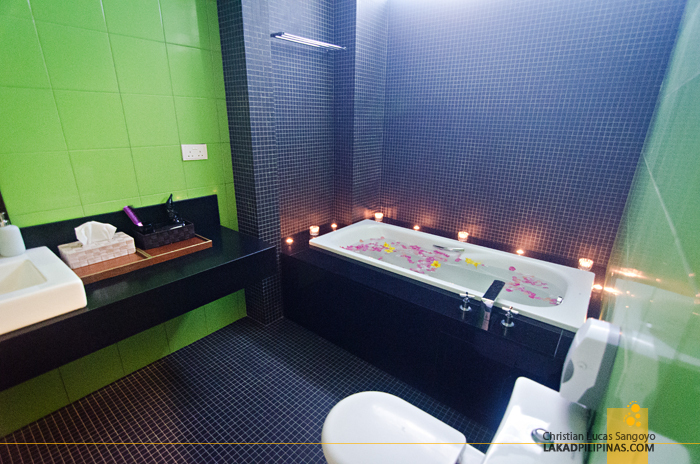 Besides Penang food, a full body massage, perhaps? We stayed for a couple of nights at Lone Pine Hotel in Batu Ferringhi, it sits right by the beach and has a really nice pool, well-appointed rooms, good restaurant and, yes, a spa! Being on the tail-end of the Malaysian leg of our Beach Hop Asia 2016 tour, this couldn’t be more perfect. Recharge. Revitalize. Reconnect. 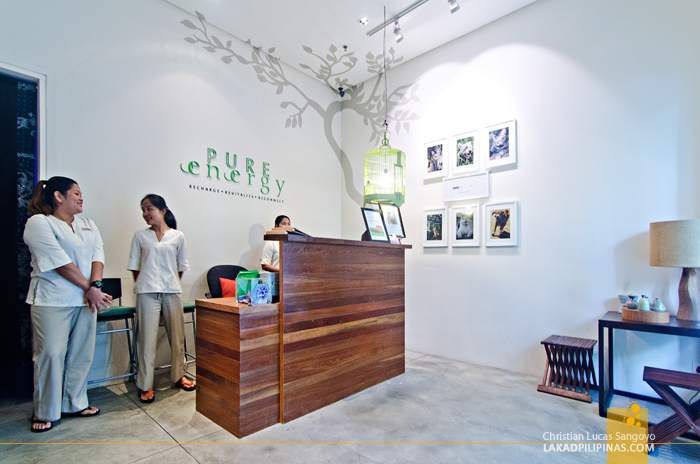 Pure Energy is a signature spa located at the ground level of the resort. We visited it on our last afternoon on the island, wanting to have a bit of relax time before flying off to Thailand to attend the debauchery of Koh Phangan’s infamous Full Moon Party. We were warmly received on an all white lobby beset by a counter made from wood planks by the staff, two of them, by the way, turned out to be Filipinos! After a few chit-chats, we were led to their dimly-lit waiting lounge while sipping on a glass of tea. 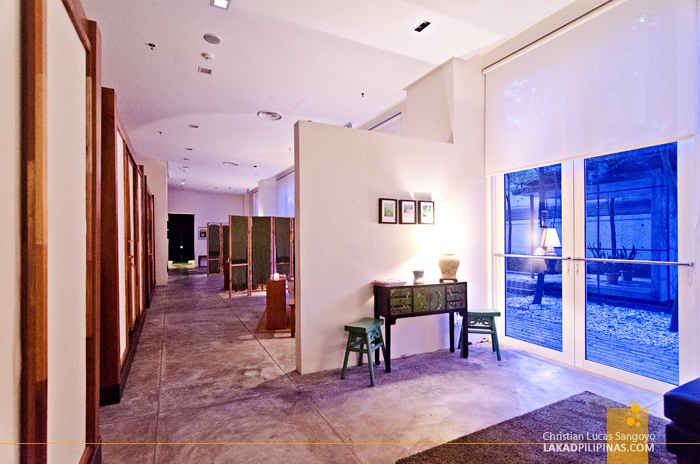 I dig how subdued the interiors were with its untreated concrete floor, less indeed can be more. I also like the tint on their windows, making it appear as if it was early twilight outside. 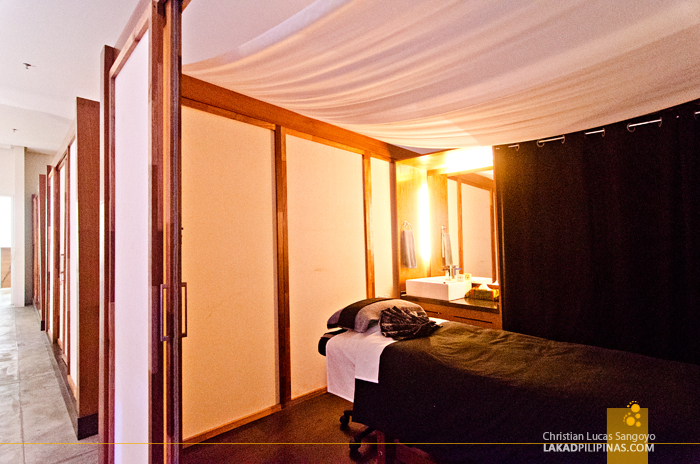 While C requested for a facial treatment, I asked for a full body massage, of which, they have four; Purity Special, Pressure Point Stress Relief, Spot Relief, and their house special, Balinese Therapy. I was torn between their specials; Purity or House? Hmmm. Our location made me decide; since we’re really not in Bali, I chose the former. Purity Special, is one of Pure Energy’s signature treatment and is described as both relaxing and therapeutic for aches both in body and mind! Exclamation point, theirs, lol. 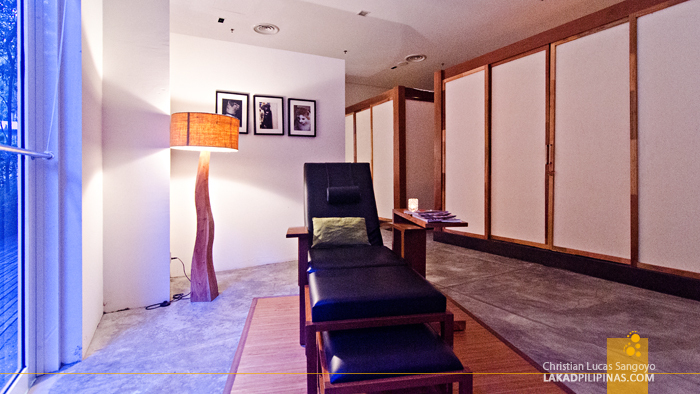 So after a few moments of waiting, I was asked to lay face-down on the massage bed. Firm but gentle hands started working on my muscles; unknotting, untangling, massaging, relaxing them. I was desperately trying not to doze off, wanting to savor each and every stroke, but alas, it was just too relaxing. I drifted off to dreamland before I knew it. 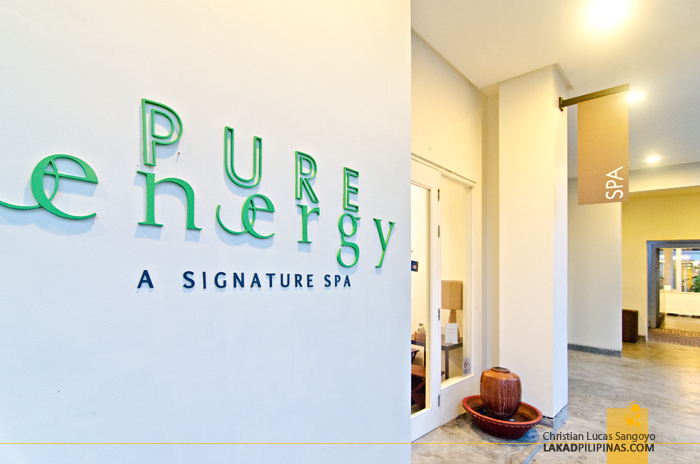 ~ OUR SPA TREATMENT WAS SPONSORED BY OUR FRIENDS FROM PURE ENERGY. ALL VIEWS AND OPINIONS ARE DEFINITELY MY OWN.